I have been so excited to be able to run the Sounds of Christmas these past twelve seasons, and I wanted to start this off, once again, by thanking you for listening - whether you just found us this year, or you've been listening all along, or you're somewhere in the middle. I am so grateful that I was able to spend at least part of the holiday season with you! For years, people have been asking us to stay on year-round. While we've been fortunate enough to have a growing audience over the last decade, I didn't really think there would be many who would really listen to a Christmas music station throughout the year. Then, near the end of December 2017, I watched "A Christmas Carol" again, as I try to do at least once every December. And this part really struck a chord with me. “I will honor Christmas in my heart, and try to keep it all the year.” So we decided to do it. Instead of signing off after Epiphany, as we did for the first ten years, we stayed on year-round. And while our daily audience did decreased by a huge percentage, it was gratifying to see that some were still listening - maybe not every day, but often enough that we noticed. I'm sure there are some who will continue to scoff at this. There might even be a few who are really annoyed at the idea of Christmas music all year long. My hope, though, is that whenever you feel like you could use a dose of Christmas spirit, you'll remember that we're still on. And if you like what we do, and feel so moved that you'd like to help, we'd be happy to have your financial support to help keep us going! You can just click below and donate on the Paypal link, putting whatever you can or whatever you want to in our virtual hat! I would like to also thank the artists that advertised this year, helping to get us on, and keep us on, for this twelfth season! I'm adding links to each of their names, so you can click on any you like to check out their music (and if you're so moved, pick up a copy or download tracks). Cremaine Booker, Rehya Stevens, Reuel and Michele with Keto Club Plus. Thanks again for listening. I hope you've had a wonderful Christmas, and a Happy New Year. May 2019 bring you all you hope for and more! And may you always believe in Santa Claus! We're very excited to be bring back some fun shows for this weekend! First, we invite you to Wolfman Jack's Christmas Party! This is a two-hour Christmas special that Wolfman Jack hosted, featuring some of his own holiday thoughts and skits, along with some of his favorite seasonal songs! You can tune in to Wolfman Jack's Christmas party Saturday night at 10:00pm (Eastern). And if you aren't able to catch it this weekend, we'll be airing it again next Saturday at 7:00pm (Eastern). Leading up to Wolfman Jack's Christmas Party this Saturday is a very special treat from Casey Kasem. We'll be airing Casey's original Christmas Countdown from 1971, featuring the top forty Christmas songs of all time (at least up until that point). You can tune in to the Christmas Countdown this Saturday at 7:00pm (Eastern). We'll air it again next Saturday at 9:00pm (Eastern), so you'll have one more chance to catch it next weekend! And this Sunday, we'll have another Countdown for you. Casey will count down the top Christmas songs once again, but this time, it's from 2005! You can catch this one Sunday starting at 6:00pm (Eastern). And we'll air it one more time, next Sunday at the same time! Hope you get the chance to enjoy these fun shows! And may you always believe in Santa Claus! I grew up with Arlo Guthrie's "Alice's Restaurant" as a Thanksgiving tradition. The rock station I listened to as a teen played it every year. I understand other rock stations around the country did this, as well, at least from time to time. So I like to think I'm not alone. To be honest, though, I have no idea who this song became a rock staple (and I believe some classic rock stations continue to play it annually). I get that not everyone shares this tradition. My wife had no idea this song even existed before she met me. She puts up with it each November, with her characteristic good humor. Come to think of it, other members of my family do that, too. And if you aren't familiar with "Alice's Restaurant", I hope you'll do the same. I'm continuing the Sounds of Christmas tradition of playing this song once again this year. Actually, twice again. I'll be airing the original version of Arlo's tune on Thanksgiving Day at approximately 4:00pm (Eastern). And later on Thanksgiving night, I'll be playing Arlo's 50th anniversary edition of that same song (around 10:00pm Eastern). Whether you've enjoyed this as part of your own Thanksgiving tradition, or it's something brand new to you (or you're somewhere in between), I hope you can tune in this Thursday. Even if you're listening outside the U.S., and none of this makes any sense at all to you. Thanks so much for spending part of your holiday season with us! For the last few weeks, I’ve started seeing articles, blogs and posts again, complaining about what some refer to as “Christmas Creep”. This is supposed to mean that retailers are rushing the season, starting to put Christmas items out earlier and earlier every year. I think of it more as a “Grinch Creep”. It’s really about the people who like to complain about Christmas music, lights, presents, etc. And some are just people who like to complain, period. I remember working in the receiving department of a large, box bookstore about twenty-five years ago. In early August, customers would start asking about Christmas books. This was not about books to give as gifts, possibly to someone overseas so it would take a long time to get there. This was about books that were about Christmas – decorating, cooking, etc. And this was not just one or two customers, but multiple customers, asking daily when we would have our Christmas collections out. 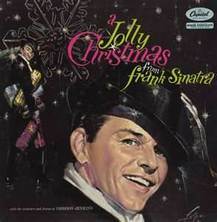 So over sixty years ago, no one complained that Frank Sinatra was rushing the season when his Christmas album hit store shelves in September. Kind of seems silly to be annoyed at Wal-Mart for promoting their new Layaway deals or Target for having a couple rows of Christmas lights (just past the aisles of Halloween costumes). 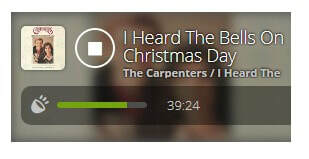 As you probably know, I run an online Christmas radio station. My interest in this is obviously not coincidental. Our new season begins each year on November 1. That said, we do have listeners on November 1. In fact, we’ve grown to the point where we usually have listeners in all fifty states, and in another 20-30 countries, within the first week of November. The bookstore I worked for no longer exists, so I didn’t see the point in mentioning it. You probably know what a big box bookstore is like (or was like), and I doubt my experiences there were so very different from others. 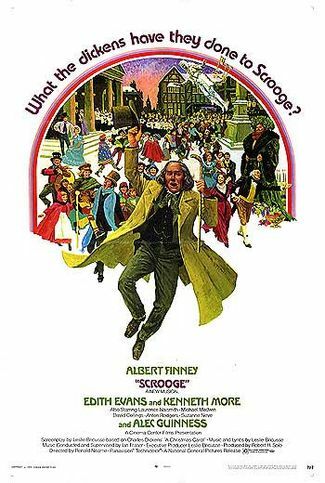 I have no financial interest in the movie “Scrooge”; that was just one particular Christmas movie that I know the release date for. 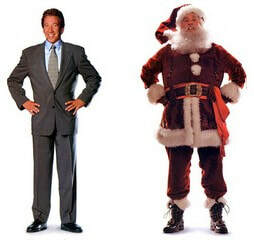 Other holiday movies have certainly been released later in the season, and others have been released before. The original "Miracle On 34th Street was released in June, and that was 1947. Actually, we never really left. But the new season of Christmas music has officially begun! I know not everyone was ready for it, yet, but whenever you are, we’re up and rolling and ready for you! I would like to thank the wonderful folks that have helped get us up and running so we can bring you this new season! First, thanks so much to Engelbert Humperdinck! 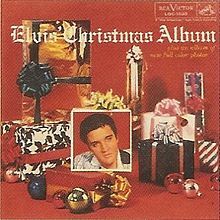 He recently released a terrific new Christmas album! You can find out more about him, his music and his latest tour on his website HERE! I'd also like to thank all of the folks that are joining the Sounds of Christmas family for the first time this year, including LeAnn Rimes, Rehya Stevens, Sarah Smith, Reuel and Michele Amburgey's Keto Club Plus! who are all back again this year to help keep us going! ​Thanks so much for stopping by and sharing this very early part of the season with us! The new season of the Sounds of Christmas has begun, and we're trying to make it as easy as we can to tune in! ​There are three pretty simple ways to tune in. First, simply click on the player on the front page of our website. This way, you can listen to us as long as you're on that page, even if you open other windows. 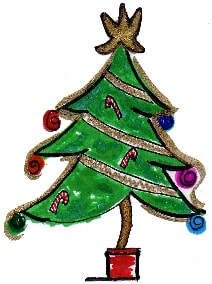 Second, you can click on the tree on our front page. That opens a pop-up player, so you can keep listening to us whether you stay on our website, or go to check your email, Facebook, etc. You can keep listening as long as you keep that pop-up player open. And third, you can download our free app in the Google Play store (for your Android phone), and take us with you wherever you go! We know that you may not be ready for Christmas music, yet, but when you are, we're ready for you! We're playing the best variety of Christmas music, with all your favorite tunes and favorite artists, along with hundreds of brand new songs! Thanks so much for stopping by, and for listening! May you always believe in Santa Claus! The new season of the Sounds of Christmas starts November 1. While we get ready for that, we're playing all Halloween music throughout October. We're also trying to make it as easy as we can to listen to the Sounds of Christmas (and the Sounds of Halloween). There are three pretty simple ways to tune in. Second, you can click on the tree on our front page (between the embedded player and Engelbert Humperdinck). That opens a pop-up player, so you can keep listening to us whether you stay on our website, or go to check your email, Facebook, etc. You can keep listening as long as you keep that pop-up player open. 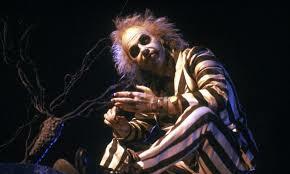 We'll keep the Halloween music going all the way through Halloween night! Then, on November 1, it's the best variety of Christmas music, with all your favorite tunes and favorite artists, along with hundreds of brand new songs! May you always believe in Santa Claus! 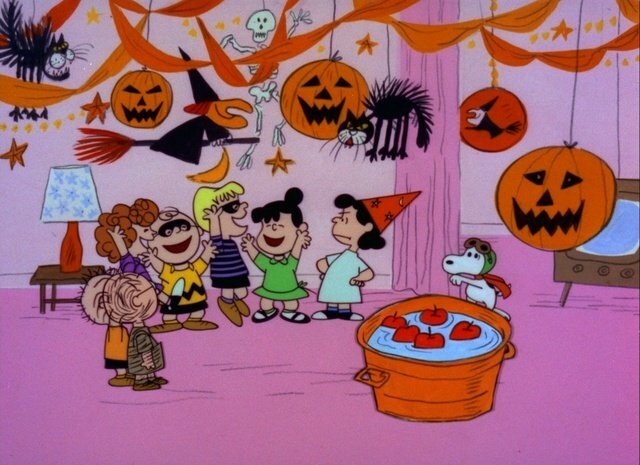 And the Great Pumpkin! This is part of a blog I wrote years ago, but I try to update it a bit each year. ​Like most families, Halloween and Christmas are big at our house. Lisa and the kids are on the Halloween side, while I'm with Santa. So as we move into October, I'm in a mad rush to get the new season of the Sounds of Christmas ready to go. 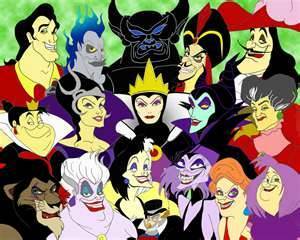 While I've kept the station on year-round, I'm featuring Halloween songs up until November 1. I admit, mostly, it's just for my family, while I kick the tires and otherwise make sure everything is set to go for the coming season. But I've found there are a lot of people that love Halloween, too, so I've expanded the playlist and hope you have a good time with the Sounds of Halloween. This year, I'm planning to continue something else that's becoming a tradition. It's a little something extra for Halloween fans - War Of The Worlds! On October 30th, at approximately 7:00pm (Eastern), I'll be playing the original broadcast from 1938 of "War Of The Worlds" as performed by Orson Welles and the Mercury Theatre On The Air. 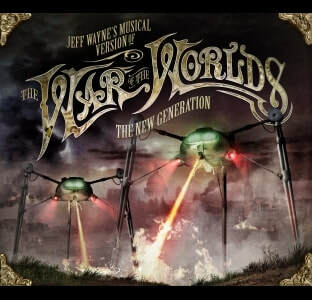 That will be followed by Jeff Wayne's updated version of his musical adaptation of "War Of The Worlds" (which features Gary Barlow from Take That, Joss Stone and Liam Neeson). 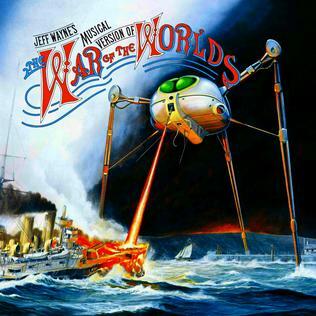 And on Halloween night at approximately 7:00pm (Eastern), I'll be playing Jeff Wayne's original musical adaptation of "War Of The Worlds" from 1978, which featured Justin Hayward of the Moody Blues, David Essex and Richard Burton. Every year when I do play Halloween music in the run up to the new season of the Sounds of Christmas, I get messages from people asking what exactly is Halloween music. The answer is anything having to do with Halloween, including scary things like ghosts and monsters, creepy stories and songs about trick-or-treating or candy. Loudon Wainwright III "Vampire Blues"
The Diamonds "Batman, Wolfman, Frankenstein or Dracula"
Florence and the Machine "Howl"
The Sesame Street Cast "Be Kind To Your Neighborhood Monsters"
Eddie Reader "Bell, Book and Candle"
Fleetwood Mac "Black Magic Woman"
Concrete Blonde "Bloodletting (Vampire Song)"
Southern Culture on the Skids "Werewolf"
The Rolling Stones "Sympathy For The Devil"
May you always believe in Santa Claus (and also the Great Pumpkin)! P.S. 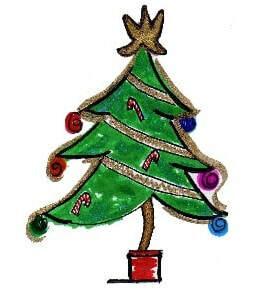 - To listen, just go to our home page and click on the tree. You can also search for us in the Google Play store and get our free app for your Android Phone! We're still on. Just wanted to make sure you knew that right off the bat. In fact, just now, I played songs by Rick Springfield, Imagine Dragons, Wynonna, the Tenors, Michael McDonald, Anita Baker and Kula Frank and Ollie. 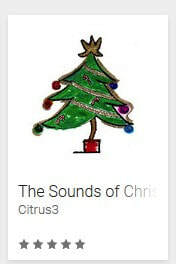 You can still listen to the Sounds of Christmas by clicking on the tree on the front page of this site! I also wanted to let you know about my new stations. About a year ago, I launched an online radio station for the Integral Senior Living Communities. This station gave the residents the music they connected with, highlighting songs from the 1940's, 1950's and early 1960's - the music that traditional radio just doesn't play any more. On this station, I just played the Ames Brothers, Hank Williams, Red Foley, the Del Vikings, Bing Crosby, Fats Domino and Billy Ward and the Dominoes. This station was made available to all the residents in the 50+ communities operated by that organization. You can find out more about that, and check it out HERE! A couple months ago, I launched a station for one of those communities in particular, allowing them to include messages for their community, and tailor the content of the station specifically to their residents. This station just played Frankie Carle, Ivory Joe Hunter, Ruby Murray, Roy Head, Elvis Presley, Helen O'Connell and Peter & Gordon. You can check that one out HERE! And just recently, I launched Tapestry Radio, a companion music station for the Blog Talk Radio show Psychic Tapestry. That one has two purposes: 1) anyone looking for a message or a sign need only listen and find their answers in the music, 2) those who love music, all kinds of music, will find this station to have the most variety of any station anywhere - all genres, all eras, all the time. On this one, I just played songs by William Patrick Corgan, the Mills Brothers, Billy Joel, Van Halen, Buddy Rich, John Lennon, Avril Lavigne, Velvet Revolver, Glenn Miller, the Waitresses and Ella Fitzgerald. You can sample that one HERE! I wanted to let you know about these stations just in case you or your business wanted to have your own in-house radio station, legally playing the music you and your customers want, with the only interruptions being for your own promotions and announcements. If you're interested, just comment here or email me HERE and I'll get you details! If you like what I'm doing and want to support it, you can always choose to advertise (only on the Sounds of Christmas or Tapestry Radio). You can also donate, if you'd like, to help me keep these (and future) stations going. I've added a PayPal link below just in case you're interested. Thanks so much for your support, and I hope that one of my current stations and/or one of my future ones gives you the music you enjoy! This is usually the time of year where I mention that we're still on (of course), and that the Twelve Days of Christmas actually come AFTER Christmas. 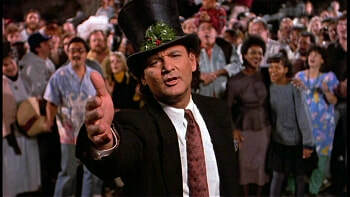 Then I would tell you that we'll be on through January 6 (Epiphany). 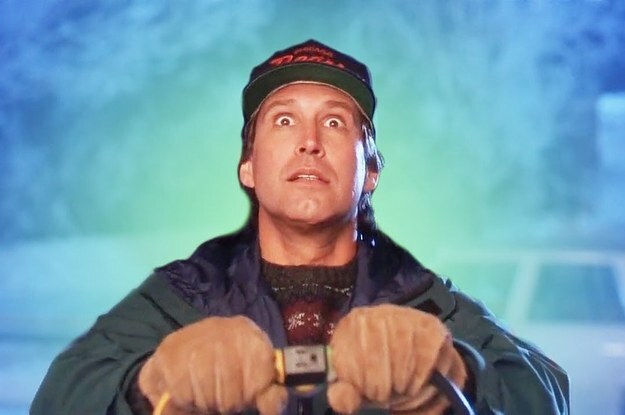 And every year, I get emails from people all over the world, asking if I can keep the Sounds of Christmas going all year long, but it's usually an expensive undertaking, not to mention a technical nightmare. So I've always said that we would be back in the Fall, and that would have to suffice. I know from my own love of Christmas music that, sometimes during the year, I need it. Just a couple songs to give me that Christmasy feeling. I've hoped that I've been able to do that for others with the station running seasonally, as it has for the last 11 years. But this year, I'm going to do something different. I'm not turning the station off. The Sounds of Christmas will continue to run, playing the best variety of Christmas music all year long. So whenever you need that holiday music fix, you can come here, click on the tree on the front page, and listen. What I've done is load up almost our entire library, thousands and thousands of songs. To sidestep the issue of programming, I've set it to play randomly so it will continue playing day after day, week after week, etc. This means that, from time to time, you'll hear two version of the same song close together, or even back-to-back. You might also hear songs by the same artist back-to-back. But given the huge amount of music that I've loaded, those instances should still be rare. The plan is that the Christmas music will continue through the end of September, and then I'll switch it to Halloween music for October, while I get everything readjusted for the new season. There will be no commercials through October, but if you'd like to help support the station, you can always click below and donate to help keep us going. Thank you so much for listening, and letting the Sounds of Christmas be a part of your holiday celebration. I hope that, whenever you feel like you need it, you'll click over and get a little Christmas spirit. And I hope you always believe in Santa Claus!